BeeSoothe is a new product that carries on Standing Stone's tradition of all-natural products. It is made with my own beeswax and is an all purpose skin balm. 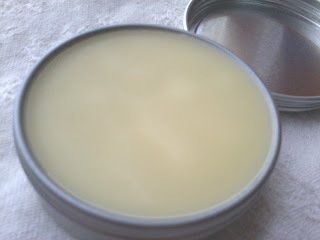 It can be used for chapped and dry skin or as a lip balm. It can be used for all kinds of minor skin irritations. It's great for refreshing your hands after hard garden work, or to protect them from chapping during the winter. It has Tea Tree oil which is known to have antiseptic qualities that can help many different skin conditions. 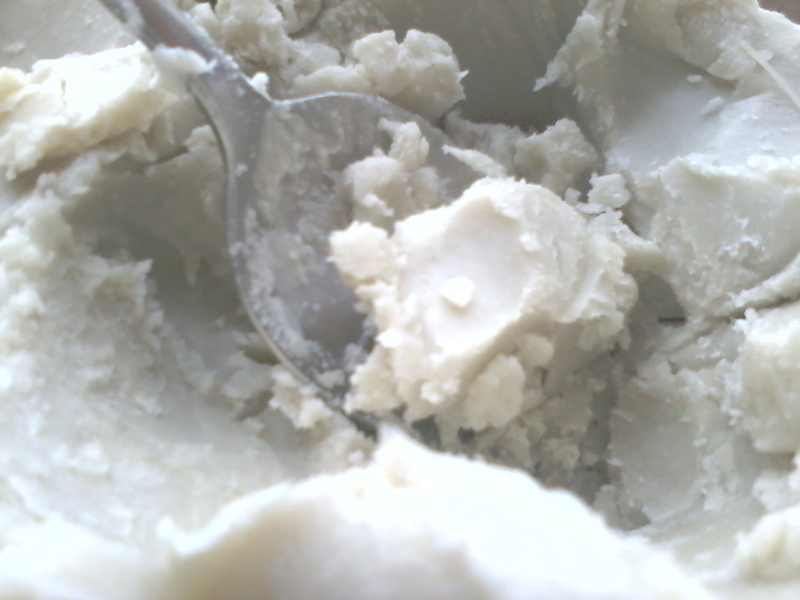 Unrefined Shea butter that has nutrients that are well known to have great benefits for the skin. 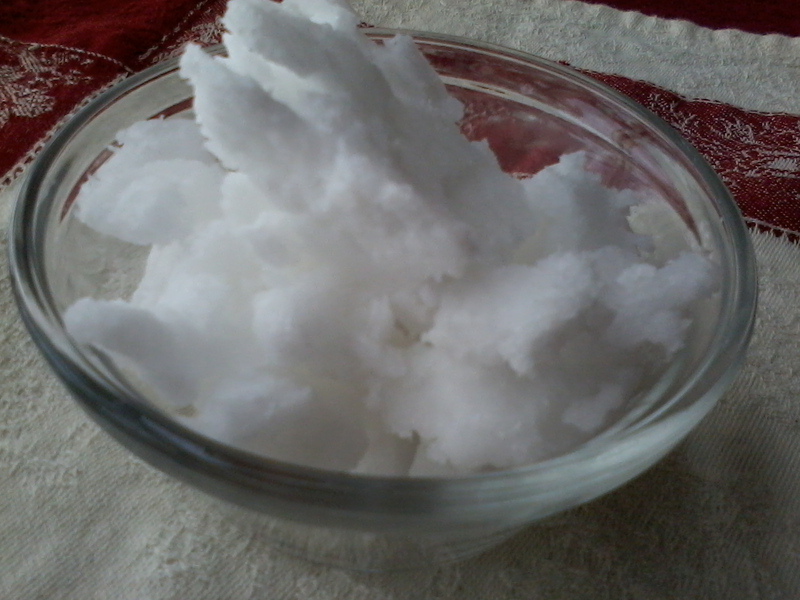 Virgin Coconut oil that has long lasting moisturizing qualities. I made it with virgin olive oil that was infused with fresh Russian comfrey leaves and root. 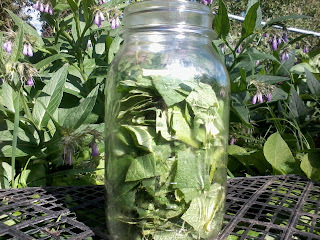 Comfrey has also been called Knitbone because of its long history as a healing herb. 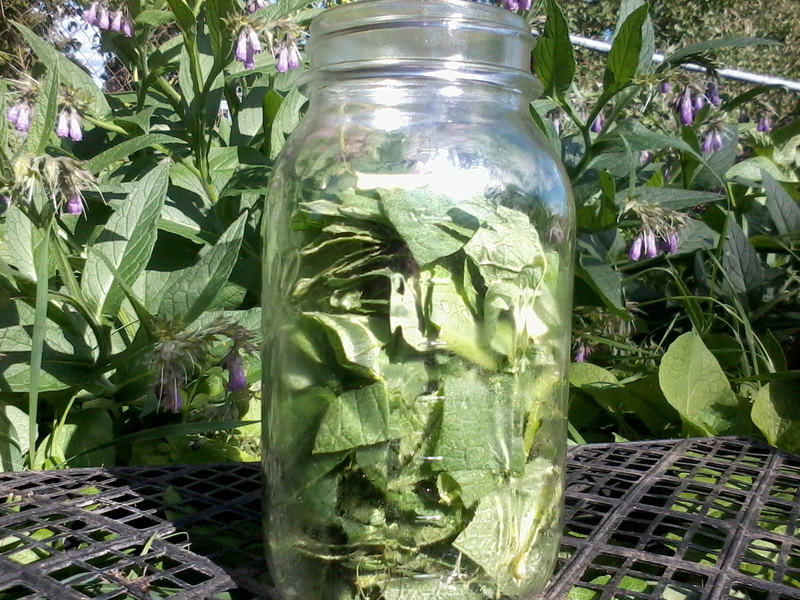 Comfrey contains a substance called allantion that is believe to double the speed of cell division which equates to quicker healing. This is a marvellous herb. All natural Vitamin E is added to act as a natural preservative and is often used to help accommodate healing skin. BeeSoothe comes in a quality screw on tin and is long lasting with a net weight of 1.5 oz. The add to cart option is for purchasing multiple items. The shipping for this option will be $12.00 for any order under $50.00. This is based on the cost of shipping whatever I can fit in a medium flat rate box. For a listing of Standing Stone Honey Products, click here. 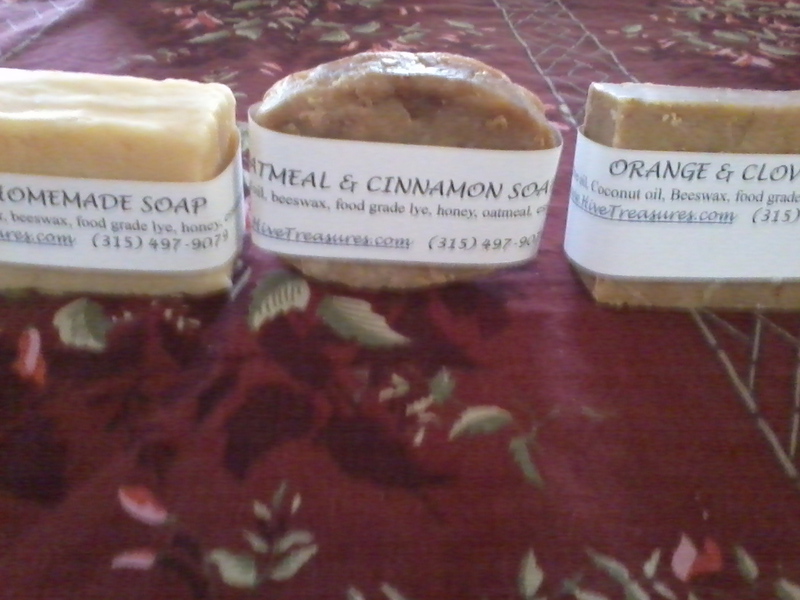 These soaps are all homemade with only natural essential oils to scent them. They are not strongly scented, but carry natural, pleasant scents. They are vegetable based, meaning that they are not made with animal fats. I made all these soaps with honey, which is a moisturizer and believed to nourish skin. I included beeswax which helps the bar last longer and is also considered helpful for the skin. The bars are hand cut and are different sizes. The average bar is around 3 oz. This is a new venture. If you have any questions or would like a custom made soap, please contact me at: Ron@hivetreasures.com or call (315) 497-9079. All soaps below are made with these ingredients: Olive oil, coconut oil, food grade lye, beeswax, and honey. Please note: All natural soap is made with lye. In the soap making process the lye changes its structure and becomes glycerin which is a valuable moisturizer. Commercial soaps usually have the glycerin removed because of its value in industrial purposes. For this reason, and more, homemade soaps are much better soaps. This soap is super fatted so that it is extra gentle. It is unscented, but the shea butter gives it a light nutty scent. The lavender soap is currently also a super fatted soap with shea butter. It has a naturalfloral scent that can help you can reminisce of a herbal rock garden. The vibrant scent of peppermint is one of the first scented soaps I made and one of the favorites. It's a fresh, welcome scent to wake up to. This is the newest soap I've made. It reminds you of black licorice. Unique, but certainly very good. This must be the favorite soap of my customers. Has a bright, cheerful, but mild scent. Has the baking scent of cinnamon, with some texture of ground oatmeal to give it exfoliating qualities. Has a gentle pine-like scent. Tea tree is said to be helpful for various skin conditions. 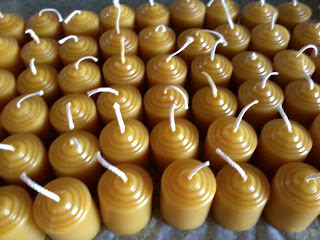 Standing Stone Honey Bee Products now offers several different Beeswax Candles. Being straight from the beehive, beeswax is all natural. It burns bright and is said to have the same light spectrum as the sun. Beeswax is known to have the highest melt point of all waxes without additives. Beeswax drips less than other waxes without any additives because of its high melting point. 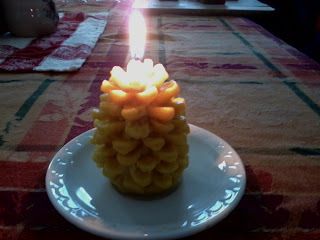 Pinecone candles are a delicate, yet practical candle that make a unique gift. We also carry small votives. The votives pictured here were made for a wedding. This is our largest candle. It is our square pillar candle. It measures 4 1/2" X 2 1/4" and weighs around 14 oz. These candles are 100% natural beeswax without added scents. Beeswax has its own natural sweet scent, though it is not strong. Standing Stone Honey offers pure country honey for a sweet treat for those who prefer a natural alternative to the refined and artificial sweeteners commonly found on the grocers' shelves. If you have an interest in Standing Stone Honey, please email me at Ron@hivetreasures.com. You will receive a price list and be informed of what products are available. You can call Ron at (315) 497-9079 with any questions.